It’s got a good beat, and your cells can recycle to it. The “it” in this case is not a newly released hit song, but the under-appreciated B side of autophagy-related protein 8 (ATG8), a ubiquitin-like protein required for the formation of autophagosomal membranes. 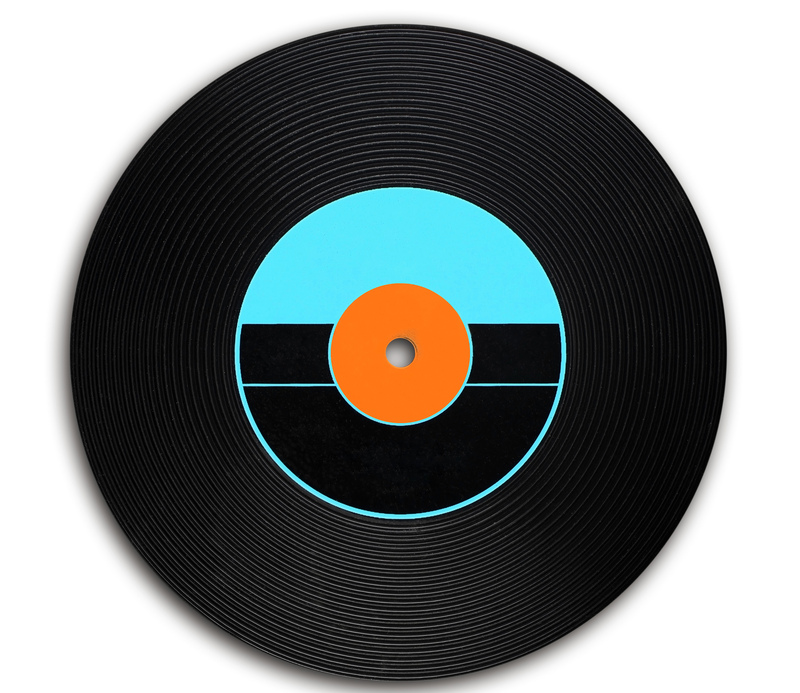 Until now, the A side has received almost all the attention. But by flipping the ATG8 protein 180°, scientists based at Washington University in St. Louis have discovered a whole new set of receptors that can draw cellular wallflowers—poorly folded proteins and dysfunctional organelles—into the autophagy dance. 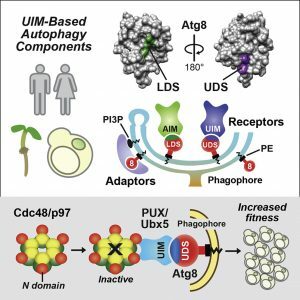 The Washington University team, led by Richard S. Marshall, research scientist, and Richard Vierstra, professor of biology, published their findings in the journal Cell, in an article titled, “ATG8-Binding UIM Proteins Define a New Class of Autophagy Adaptors and Receptors.” The article could shed light on why autophagy sometimes fails, allowing defective cellular material to accumulate and contribute to disorders such as Huntington’s disease, Alzheimer’s, Parkinson’s disease, and Lou Gehrig’s Disease/ALS, where this trash blocks neurons from transmitting signals. In autophagy, cells engulf unwanted material in vesicles that are then deposited in a trash bin called the vacuole or lysosome. There, the trash is degraded, and its building blocks are reused. Key to this recycling process are the receptors that recognize the trash and tether it to ATG8, which lines the engulfing vesicle. Previously, all of these receptors were thought to be related and bound to ATG8 via the same mechanism. “There is the binding site on ATG8 that everyone knew about before, and how it interacts with autophagy receptors,” Marshall said. “But we found that if you completely rotate the molecule 180°, there is the new site on the opposite side that recognizes a long list of additional cargo receptors. A whole slew of proteins in plants, yeast, and humans are using this new binding site and its suite of cognate receptors to interact with ATG8. The ubiquitin-interacting motif, or UIM, had not previously been linked to autophagy. “This is a completely different mechanism of interaction,” Marshall stressed. “Its discovery represents an explosion in the number of potential ATG8-interacting proteins that could be controlling autophagy, all of which are using this new site.” Understanding how these new cargo receptors work could shed light on new preventive or therapeutic targets relevant to human disease. “Analysis of a subset also harboring ubiquitin regulatory X (UBX) domains revealed a role for UIM-directed autophagy in clearing nonfunctional CDC48/p97 complexes, including some impaired in human disease,” the article detailed. Vierstra noted that CDC48 exists as a hexamer—a molecular complex with six repeating units—and even one bad copy within the complex will send the whole thing to autophagic turnover.